The leather we use primarily, for making Traveler’s Notebooks is 2.5 mm or 6-6.5 Oz first choice vegetable tanned leather. This leather is used by saddle makers and for “tooling”. The leather can feel a bit tough at first, but with use it’ll become more and more pliable and subtle, though it’ll stay firm and will never get floppy. This thickness is chosen from my experience with other weights of leather for Traveler's Notebooks. I prefer the 2.5 mm or 6-6.5 Oz leather. It feels substantial, but is not so thick that the cover gets too firm or heavy. From experience with using this type of leather I should mention, the thickness of the hides vary. Sometimes it’s a little more; sometimes it’s a little less, hence the 6-6.5 Oz. Leather is a natural product and no two pieces of leather are the same. Sometimes slight marks or folds can be seen on the surface. These marks of life give the leather character and add to the unique nature of the product. First choice leather is selected for not having as many of these natural “flaws”, though they are still there, making each piece unique. I chose to use the first choice leather, because the marks do influence the way the leather takes the dye and this way we can minimize that. The leather we use is full grain leather, which will show all the markings, irregularities and surface pores of the skin. Here we have a lovely example of some folds and marks, making the piece unique and beautiful. We make all sizes covers, in a wide range of colors. Not all colors are listed, so if you want a specific color or a custom design, both in finish or size, please sent me a message and together we can design your unique Traveler's Notebook. Sewing is done by hand which is traditionally the best way to sew leather. It has several advantages over sewing by sewing machine, though it is rather time consuming. The most important advantage hand sewing has, is the fact that no marks will be left on the leather from the sewing. Depending on the type of leather used, most sewing machines will leave marks from the transporter mechanism, on both top and bottom, if the wrong transporter mechanism is being used. You also have to pay extra attention to set the thread tension for each leather thickness correctly, making sure the top and bobbin thread meet nicely in the middle of the layer. A few examples of sewing machine markings, a collage of a few samples I found online (makers unknown). Every cover we make is treated with care and attention to detail. Because of this it takes time to make these covers. The result however, is a unique and beautiful product that will last you a lifetime. The inside of the Leather for our Falcon Traveler and Hobo covers has been brushed and sprayed with a suede conditioner. 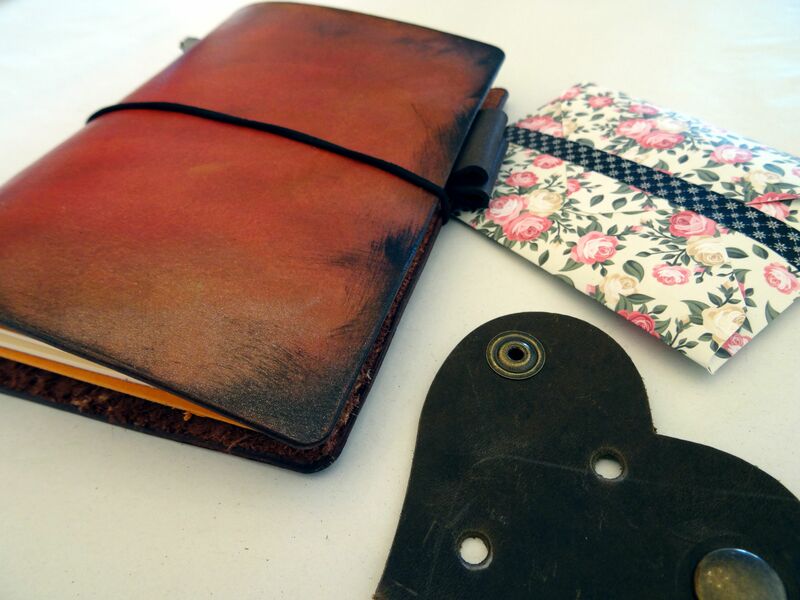 Vegetable tanning produces leathers with rich and warm tones. The leather will change color over time, developing the well-known leather patina. Vegetable tanned leathers are more valuable and thus sold at a higher average price compared to chrome tanned leathers, due to the fact that vegetable tanning is a slower process. However the colors that can be produced with vegetable tanned leathers are limited compared to the chrome tanned leathers. SEMI ANILINE - Transparent dyeing with additional finish with pigment color or acrylic paint. Each Traveler gets it's own bespoke color and the Vegetable Tanned Traveler's are dyed by hand. This can be done with spirit or oil based dye's (Aniline). 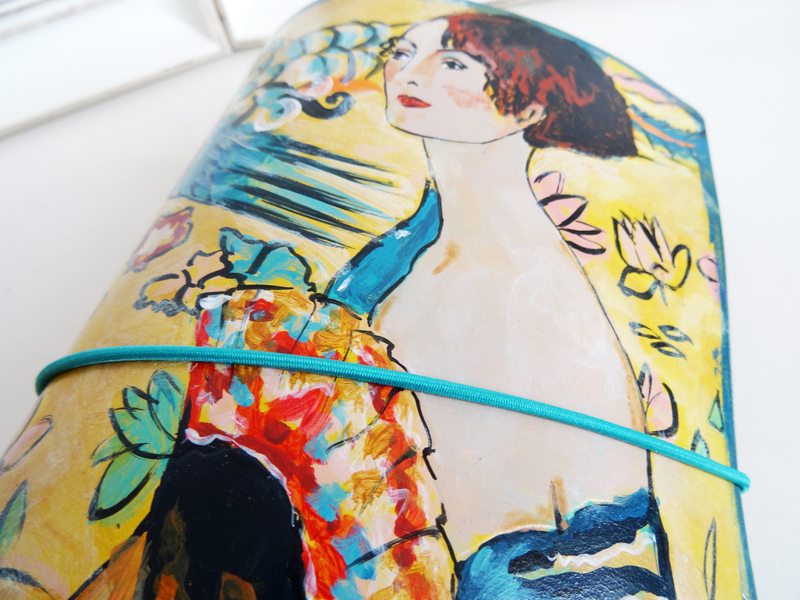 There are a few options with water based dyes, but they tend to fade with use and exposure to sunshine. 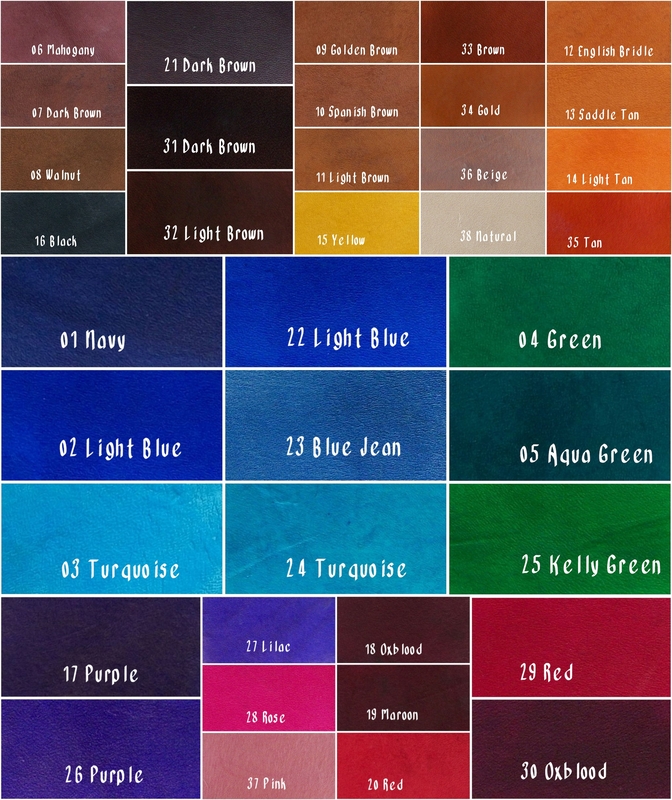 We primarily use Fiebings or Angelus dyes for the leathers, these are transparent permanent dyes. The colors can be mixed or diluted to get custom colors. Undyed leather will develop color and patina with handling and exposure to sunlight. This is true for all the dyed leather's as well, although the color developement will be less apparent on some colors. The leathers will also get softer and more pliable with use and handling. Next to these colors we also use Leather acrylics to paint on the leathers. You can find more examples on the available dyes and colors page, where I explain a little more about the differences between the several dyes and paints. The acrylics can be used either to adorn the Traveler's with custom art work, or to dye a mix of colors to create a distressed effect, or a Galaxy/Nebula pattern. I also love the effect you get when you lightly sand the leather after the acrylics, creating a loved and worn look. These Semi-aniline leathers will not develop a patina like the Aniline leathers, except for the places where the paint has been sanded off. It will grow softer and more pliable with use, just like the Aniline leathers. The sanding is done before the stitching, but after the holes for the stitching have been made, creating this lovely aged look. In the image below you can see how the distressed look can be created with the acrylics. 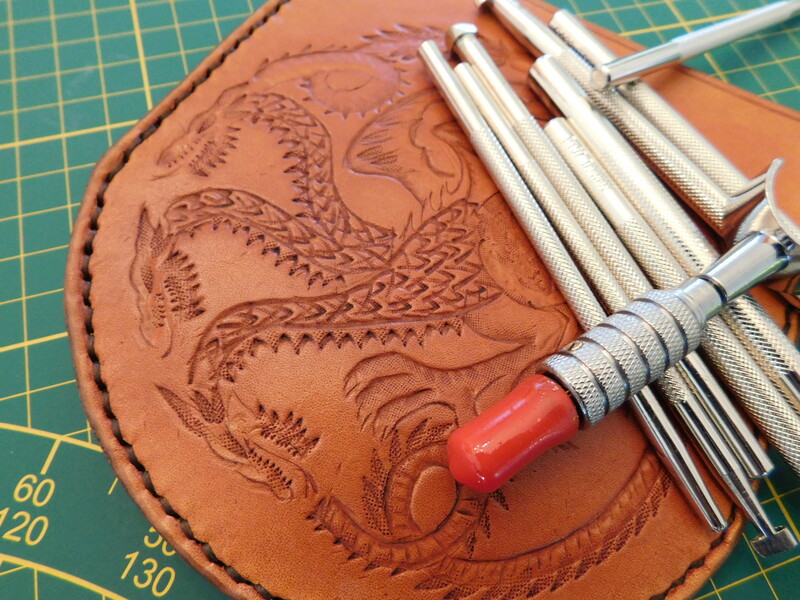 There are many more options to treat the leather, ranging from custom dyes, to painting, stenciling, stamping, pyrography and tooling... the sky is the limit..
Tooling is also an option and gives the leather a very specific character, like you see here on the little pouch I made to keep my tooling tools. The leathers we use for the wallets and pencil cases have not been dyed by us, but selected with care from a range of leather suppliers here in the Netherlands. They vary in thickness and firmness and each have their own particular quality. 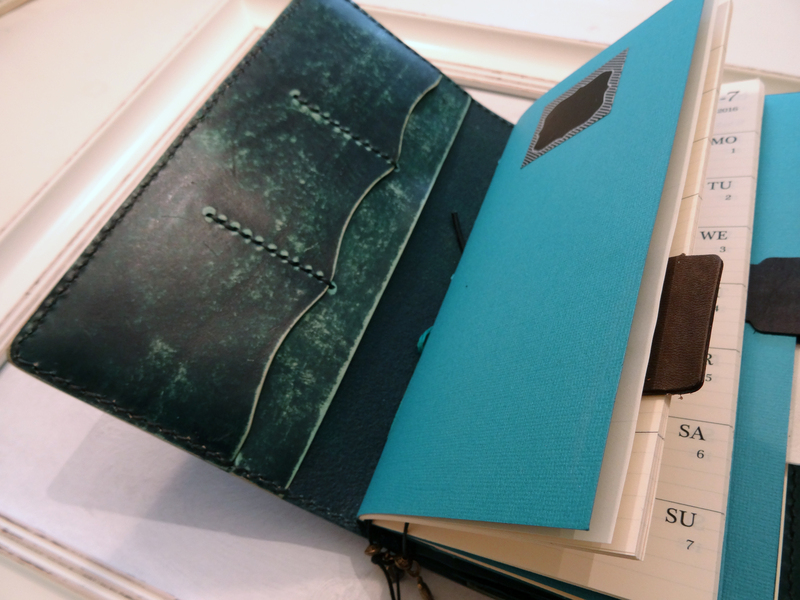 The thicker leathers are less suited to be used for wallets that will be used as inserts, but will still make wonderful standalone wallets and beautiful pen-cases.